Lakireddy Balireddy College of Engineering is an ISO 9001:2008 Certified institution, approved by AICTE and Accredited by National Board of Accreditation. It has spacious campus spread over 50 acres, of serene and natural surroundings with plenty of greenery in Mylavaram, Krishna District. It has sufficient infrastructure with an administration block of 60,000 sq.ft. It facilitates AC Auditorium, AC Conference- room, well equipped laboratories, free internet with 4mbps leased line, a world class Library server with 4.5 tb back up area, an extension counter of Central Bank of India, H.T.Power supply two generator sets of capacity 375 kva, a new generator of capacity 250 kva is purchased, excellent canteen to cater to the needs of students and staff. Campus: Lakireddy Balireddy College of Engineering is an ISO 9001:2008 Certified institution, approved by AICTE and Accredited by National Board of Accreditation. It has spacious campus spread over 50 acres, of serene and natural surroundings with plenty of greenery in Mylavaram, Krishna District. It has sufficient infrastructure with an administration block of 60,000 sq.ft. It facilitates AC Auditorium, AC Conference- room, well equipped laboratories, free internet with 4mbps leased line, a world class Library server with 4.5 tb back up area, an extension counter of Central Bank of India, H.T.Power supply two generator sets of capacity 375 kva, a new generator of capacity 250 kva is purchased, excellent canteen to cater to the needs of students and staff. The promoters of the LBRCE started the college with a vision to empower the students to become technologically vibrant, innovative and emotionally matured and to train them to face challenges of quality conscious globalised world economy. They are socially conscious and continuously responding to the needs and requirements of this region and society involving in lot of charitable activities to uplift this region, to help the needy poor through the LBRC Trust. This major objectives are to promote educational facilities by establishing schools and colleges in the region, help the poor, improve the health standards by providing safe drinking water, organize free medical aid, undertake developmental action in the village by providing roads, community halls, bus shelters, parks etc., to providing financial help to the needy merit students by way of scholarships, to promote games and sports activities in the region. Several crores of rupees have already been spent by the promoters of LBRCE towards above charitable activities. 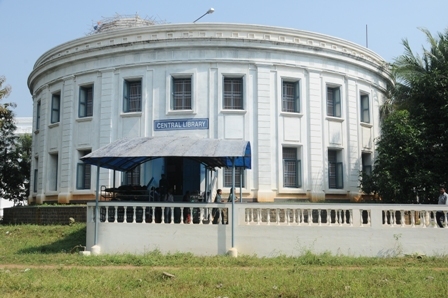 Central library: A central library with an area of 1880 Sq. M.
sir I have got 58216 rank in eamcet. can I get civil seat?